Back when my eating was really out of control, I couldn't live without bread. In fact, I remember eating almost an ENTIRE LOAF (with butter) in one sitting. The more bread I ate, the more bread I craved. So I ate more, then craved more. As you can imagine, I felt like crap. My mood was unstable, my face was puffy, and my digestive tract was not very happy with me. As I progressed in my health journey, I finally got to a place in my life where I no longer craved bread the way I did in the past. The shift really changed when I transitioned from eating processed foods to real food. While I am currently in a place where I could live without bread, every once in a while a sandwich sounds really good to me. Last weekend I ran a half marathon and that night I was totally craving a sandwich. 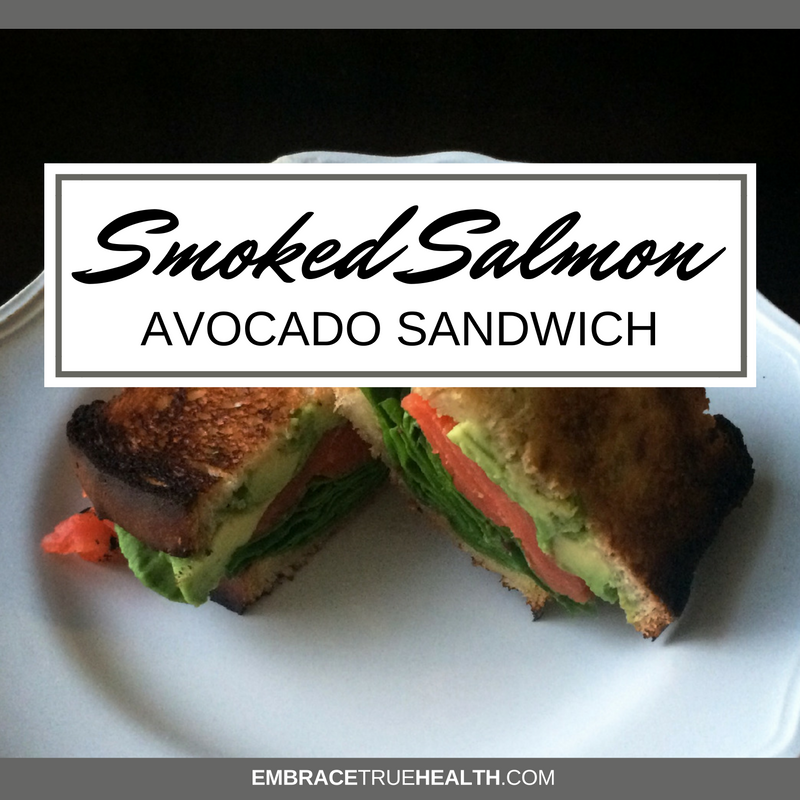 Specifically, a smoked salmon avocado sandwich. What can I say? I was craving salt, carbs, and fat! Growing up in New York, my family was all about bagels and lox so my tastebuds from childhood are still alive and well. I "California-fied" the recipe by swapping the bagel with gluten-free bread and adding avocado. Give it a try and let me know what you think!